"Vi setter veldig stor pris på OPENs produkter og tjenester. Vi får alltid hjelp de få gangene vi har hatt utfordringer hos oss. Vi setter veldig stor pris på at OPEN selv tar initiativet til å kontakte oss for å få en status på hvordan det går med oss. Vi ønsker å være i forkant og teste nye løsninger som øker servicen og brukervennligheten både for oss og våre kunder. Vi føler oss godt i varetatt og OPENs systemer er veldig brukervennlig og forenkler hverdagen i og utenfor service. Oslofjord Convention Center valgte OPENs systemer da de støtter opp all grunnfunksjonalitet knyttet til FnB & Retail og leverer en stabil plattform som vi kan være sikre på fungerer når vi trenger det. Med 2 500 hotell-leiligheter (i 2020), en av Norges største konferansesaler, restauranter, bar, kiosker, Oslofjord Arena – Norges råeste sportsanlegg, strand og friområder, og hele fjorden rett utenfor bryggekanten er Oslofjord Convention Center et av Europas største konferansedestinasjoner der de store drømmene realiseres. KDR Gold passet oss perfekt, med god kasseløsning og en velfungerende backoffice-løsning. Vi har ansatte som har hatt god erfaring med servicenivået fra OPEN, og dette var avgjørende for endelig valg av leverandør. Etter ett års drift, har våre forventninger til systemet og service blitt innfridd. Knettsetraer en perle i Trysilfjellet med restaurant, pub og vaffelstue i hvert sitt gamle tømmerhus midt oppe i fjellet overfor Turistsenteret. Fram til 1969 ble Knettsetra hver sommer brukt som seter for en av gardene nede i Trysil, med kyr, kalver og geiter. "OPEN ligger i toppsjiktet av alle våre leverandører når det gjelder support, tilgjengelighet og kundeservice"
"Vi er meget fornøyd med kasse løsningen og den personlig servicen vi får. KDR Gold er fleksibelt og kan tilpasses det fleste behov Elite Service Partner har." Elite Service Partner AS har siden 1983 utviklet seg til å bli en av de desidert største servicebedriftene i Norge. De har i dag 26 kasser i drift etter 10 års samarbeid med KDR. Vi er også fornøyd med OPEN support – alltid tilgjengelig å klar til å hjelpe." Fiskekrogen ble etablert i 1989 og har i snart 30 år vært en viktig del av servicenæringen for hele regionen. Fiskekrogen er plassert midt i havna i Henningsvær, helt ytterst i Lofoten. "OPEN is a well-functioning system with good integrations and they are forward when it comes to development and new features"
Dahl's bakery was founded in Gothenburg in 1935, and still has Gothenburg as its primary market. "OPEN is through a very good cashier system without focusing on any specific functions, all the features are included and they are in the forefront and are even proactive in many situations." 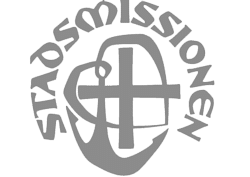 "OPEN is a smooth and competitive system that fills our requiring very well, we have recommended it to many other people within the industry"
Göteborgs stadsmissonen is a nonprofit organization with 14 sales points throughout Gothenburg. They have a varied of different operations such as secondhand boutiques, restaurants and recipiencies. "Because of the cashier system is so comprehensive and have a great width it gives an overall glance over the operation, which is vital when it comes to increase growth." Lion Bar is a restaurant and pub operation that offer their guests a varied menu of food. It is a big corporate group with operations over the entire country, some which are franchise. WÜRST is a restaurant in Gothenburg that serves Würst artisan sausages with a mix of different side orders. The sausages are locally produced and the recipe is created together with the owners to create the best taste out of natural commodities. 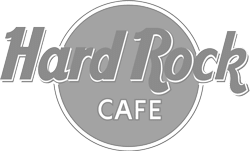 Hard Rock Cafe is a restaurant chain that has been established in Sweden for over 30 years. During all these years they have set an example for how restaurants and nightclubs should be run. Global Security AB is a security company that focus on complete solutions mostly with partners within the restaurant-, hotel-, meetings and event business. 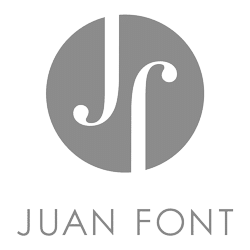 "It is very efficient for us to be able to see the sales in real-time and change prices through OPENs BackOffice program without the need of being present in the restaurant"
Juan Font is a small wine bar placed on Teatergatan in central Gothenburg. The winebar is offering Spanish and French wines, as well as appetizers like cheese and meat trays etc. "Rasta has a total of 23 facilities at the moment but is always striving for growth, OPEN has created a system that gives Rasta central control." Rasta´s mission is to pursue the best road facilities with good food, fuel, stores and hotel rooms. "Our customers can handle payments offline"
Tele2 Arena is an athletic and event venue located in the south Stockholm. "Our rental solutions are perfect for organizations that only are open during a part of the year, like our customer Bar Himmel!" Bar Himmel has Gothenburg’s largest outdoor seating and might also be the best one during the summer. "OPEN aim is to cut long lines with the effective cashier system, which also increase the sales, a system that we have implemented at Collage!" Collage is a classy nightclub and is located just around from Stureplan in Stockholm. "We at OPEN believe that the best cashier solutions are the once that requires as little administrative time as possible, which we have strived to accomplish when we installed Flustrets cashier!" "Summerburst has 60 000 happy festival people daily during their concerts. OPEN can offer a completed system that can handle the hugh flow of people!" Summerburst is a two day music festival that is dedicated to the electronic house music in Stockholm and Gothenburg during the summer. "MultiPay and ChipXpress makes it possible for Kooperativet to serve 1 300 guests within an interval of 40 minutes. By using four terminals, one checkout, and only one person handling the payments. 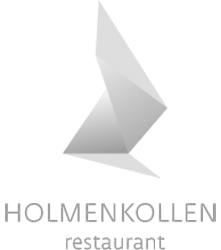 That´s what we at OPEN call efficient"
Kooperativet is likely to be Lindholmens most popular lunch restaurant that serves upto 1300 guests on a daily bases. "In the casino business it is important to have a high security, which OpenSolutions products are adjusted for." CherryCasinot is a one of the oldest and most trustworthiness Swedish corporations. "Rederi Eckerö needed a system customized for their organization"
Rederi Eckerö is a passenger and car ferry in the Sea of Åland. 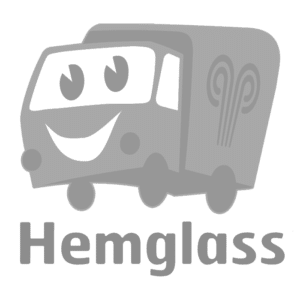 "Hemglass is constantly out on the field and actively search for customers, therefore OS Mobile is the best fit." The Swedish Hemglass The Swedish Hemglass company is investing a lot in high end service - ice cream delivery to the door. "Smoothie payment systems makes it easier for Flygbussarna to live by their values to be - simple, price worthy and environmentally friendly." Flygbussarna is stopping right outside the airport, the shuttle buses offers a convenient and green trip to the city. "SPG Arena is arranging big events, a huge advantage is therefore not to depend on either 3G, ethernet or wifi for payments"
Globen is an indoor arena that has the capacity to take 16 000 persons. TOSO is one of the top restaurants in Gothenburg that serves food inspired from the Asian kitchen. 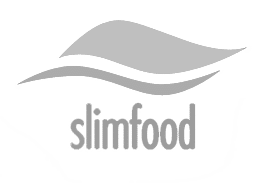 "OPENs products increase the control which is perfect for a chain like Slimfood!" 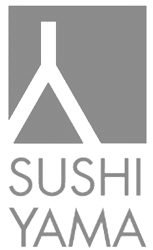 Slimfood is a healthy fast food restaurant chain that serve salad and sushi primary in Gothenburg, but also in Stockholm.